US-27 TO FALMOUTH - LEFT ON S. ROBBINS TO STOP SIGN - CROSS MAIN ST. TO ROBBINS AVE. HOME ON LEFT (CORNER LOT). 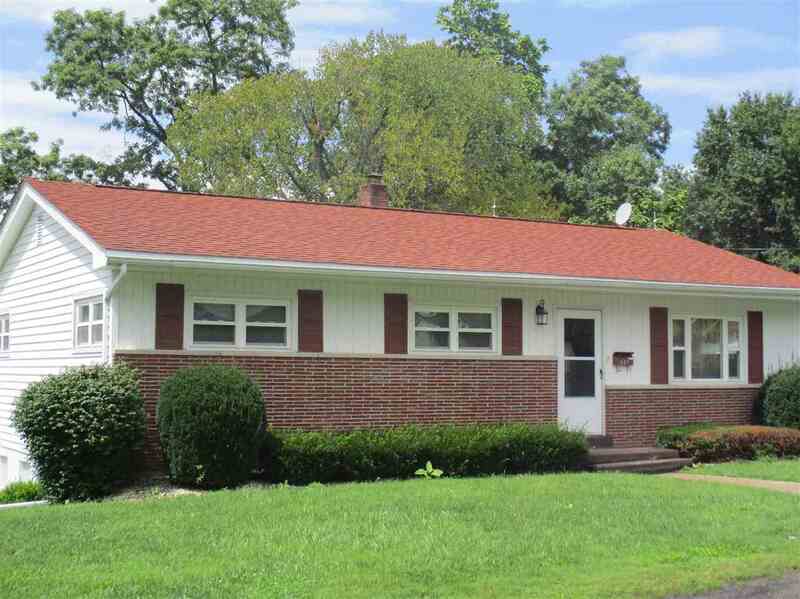 PRICE REDUCED ON THIS LOVELY RANCH HOME WITH 3 BEDROOMS, 2 BATHS, FINISHED BASEMENT WITH KITCHEN AND WALKOUT. 1 CAR BUILT-IN GARAGE WITH ADDITIONAL CARPORT. OUTSIDE STORAGE BUILDING. ALL KITCHEN APPLIANCES INCLUDING WASHER AND DRYER. BEAUTIFUL YARD WITH BEAUTIFUL LANDSCAPING AND FLOWERS. BACK-UP HEAT INSTALLED IN BASEMENT. HOME IS ON A CORNER LOT. HOME IS NOT IN THE FLOOD PLAIN. MOVE-IN CONDITION! CALL TODAY! Falmouth’s most famous resident, geneticist and molecular biologist Dr. Phillip Allen Sharp earned the 1993 Nobel Prize for work that changed scientists understanding of the structure of genes. Falmouth, the county’s largest city and county seat, is located at the conflux of the main Licking River, and its south fork, in the center of Pendleton County, about 39 miles south of Cincinnati. First established in 1793, the city’s name was chosen by Virginians who came from Falmouth, Stafford County, Virginia. Falmouth has a population of approximately 2,300 residents. While much of the quaint six-block historic downtown district was severely damaged in the Licking River flood of 1997, large portions of the city have completed renovations. The historic area is Kentucky’s oldest standing commercial building of Federal architecture, and now serves as the city’s Municipal Building. The area includes new home construction and large rural farms. St. Rt. 27 is the primary access through Pendleton County to Falmouth with Ky. Rt. 22 (Main Street) the primary loop through this county seat. The Gene Snyder Airport on St. Rt.22 just outside the city is the nearest airport with Greater Cincinnati International Airport approximately 25 miles north of Falmouth. St. Elizabeth’s satellite hospital in Williamstown, Grant County is 20 miles away; Mercy Hospital Anderson is just across the Ohio River 30 minutes northeast of Falmouth. The Falmouth Fire Department provides fire and EMS services for the city. Falmouth is the shopping destination for the entire county and it’s here you’ll find not only supermarkets and specialties, but some small gift shops as well. More in-depth shopping requires a trip north to the Greater Cincinnati area or south to Lexington’s Fayette Mall. This is where central Kentucky comes to play. Horse farms dot the surrounding area and the calendar of events monthly includes horse shows and competitions. "Thaxton’s Licking River Canoe Rentals" offers canoe and kayakers access to the Licking River. Fishermen like to try their hand catching small-mouth here. "Kincaid Lake State Park" offers 850 acres to explore with camping, golfing, swimming and fishing with more pounds of largemouth bass per acre than any other lake in the state. "Cedarline Nature Trail "Pendleton County’s Historical Society" provides an outlet for genealogical research, and an active "Kincaid Regional Theatre" summer season appeals to audiences across the county. The county is home of the annual "Kentucky Wool Festival", celebrates the area’s sheep heritage with all kinds of activities and entertainment. "Pendleton Athletic Park" in Falmouth offers soccer, football, and baseball fields; tennis, volleyball and croquet courts; and a one-mile nature trail. "Pendleton County Fairgrounds" hosts the annual county fair. The "Griffin Fitness Center" located at the high school is open nightly for fitness buffs. The "Pendleton County Country Club" in addition to offering golf and other sports serves as a center for nightlife.